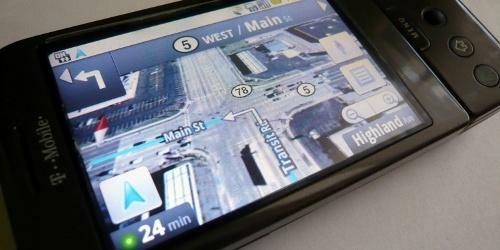 You are here: Home > Rumor Alert: G1 To Get Android 2.0/2.1??? Rumor Alert: G1 To Get Android 2.0/2.1??? Well the rumor wheel is a’turning. According to the guys over at AndroidSPIN, the G1, father of the Android device is set to get an over-the-air update to Éclair, 2.0 OR 2.1. Unfortunately, their “source” was unable to specify which version the G1 faithful would be getting. For the moment, we’re filing this firmly away in the rumor category as we’ve yet to hear anything official about upcoming Android updates from T-Mobile herself. We’re hoping for all involved, however, that this comes to pass as it seems likely that the G1 will get some sort of update being that its life cycle is on its way to a close. If nothing else, those good fellas at XDA-Developers will keep you hacking away to give you the most out of your faithful G1. ← Merry Christmas And Go Android! Hmmm. I hope the G1 definitely gets an OTA Update. I don’t own one, but they are long overdue for it. Also I’d like to see 2.0 or 2.1 updates on MyTouch3G. I don’t foresee the other Tmobile devices getting Android updates [anytime soon] since they have 3rd Party interfaces that might need work to be updated first then integrated with the newer Android versions. However, moving forward I hope all Tmobile new/upcoming Android devices will carry 2.0 or 2.1 and above. I got my G1 when it first came out and gave up on the stock ROM and OTA’s a long time ago. The optimized ROM’s put out by Cyanogen are loverly and I have 16GB available for my apps. I’m glad to see T-Mo may be taking care of the early adopters, though. I’m going to root my phone, just a quick question. Are the steps in this thread ( http://forum.xda-developers.com/showthread.php?t=442480 ) outdated, or what? Cause my G1 is runnin’ 1.6. Still follow those? what i did and found the easiest was to go theunlockr.com and they have a step by step video on how to do it very simple. I thought the same thing. Guess we should give them credit for trying. umm… no. i have been running 2.0/2.0.1 and its fast. perhaps faster than 1.6/1.5. Oh wow. Now I know the X10 is fully capable of running Android 2.1. Awesome!!!! Yes please! I want 2.0/2.1 on my G1!! Android 2.0 on the g1 is great and all, but where is the hspa 7.2 3g upgrade that’s supposed to be here by the end of the year? It’s only 4 days away. I could also ask the same question about carrier billing for the android app market. If your running a custom build I don’t believe carrier billing works but its only for stock and it might have to do with the build prop but anyway do some research. I’m sure all devices will focus on 2.0 or greater including the Cliq but that’s the price you pay for another UI over android. I would be happy to have 2.0 or 2.1 on my G1. Hopefully if this is true and we get a version of say 2.1 it will include the apps to sd. Maybe then we could free up memory so the upgrade would be possible and there would be enough memory for the o/s. Rumors…. like everything on tmobile……. that’s sad…. Ridiculous. Android/Google needs to get a handle on these updates. Having 4 different running versions of Android is not good for Android. If you don’t like it, get a different phone. The main problem I find when ppl complain about their G1 is that they have a crap load of unnecessary/unused apps that take up the phone memory and bogs down the speed. If you truly did an assestment of wht u actually need and use on your phone, use mybackup pro to back up the ones u want, do a factory hard reset, then ur phone runs like new. I did it and my G1 is running perfectly. No unused apps slowing me down and I still have a lot of memory left on my phone. Ppl complain and complain but if they truly don’t like it, get another phone and shut up. The fact that tmo and android r looking at bring the “OG” android users up to date is wonderful. It proves tht they still care of us and jus don’t see us as obselet. But if u got a problem, root or get a newl different phone. I respect what u said but y would u keep saying get a new phone when u know we are trapped in our contract for are least 8 more months, if they got their g1 when it was released. So let us complain about the things we can’t change if it makes us feel better. In my opinion u seem to be very upset about his concerns its like u created the g1 if u did thanks if u didn’t calm down and have a good day. You actually have no idea what your talking about and I’m sure your one of the many users whom heard about root and now know much else just looked at a video and have it but don’t know jack about android. I’m ran 2.0 just fine also 1.6 is great and overall stable, I bet you have countless useless apps not realizing your phone does most of those things on its own. I’m not certain that your one of the insane commentors on the market that I oftem mark as spam. Google Maps doesn’t give me trouble, voice search works, hell any type of search works and the phone running low on memory would do nothing more than mess with apps that use a lot of cache like browser, youtube, maps. I have every app I need on my G1 and the battery last a full day plus I still manage to have 50MB free so go figure, now please go find somewhere else to complain or ask for help. You are so full of it… Looking at the date of your post(Dec 28, 2009) and you are still running Cupcake??? WOW!!! So let me get this straight… you have a ‘rooted’ phone running outdated software and no apps2sd??? Have you even heard of Donut??? How about Eclair??? Do you even know what apps2sd means??? People like you that don’t know what they’re talking about need to think twice before posting inaccurate information. It makes you ‘look’ like an idiot. I just spoke with a Tmo customer service android guy. He couldn’t give me a definite answer (of course) but he was under the impression the G1 would be lacking in memory to run 2.0 affectively. That has alot to due with the apps being installed on the phone’s memory. Thank God for ROM developers!!! (Manup456, Eugene373, Cyanogen, KingKlixx, Amon_RA, Milgin… just to name a few) Most of their ROMs include apps2sd, which installs the apps to the sdcard instead of the phone’s internal memory.